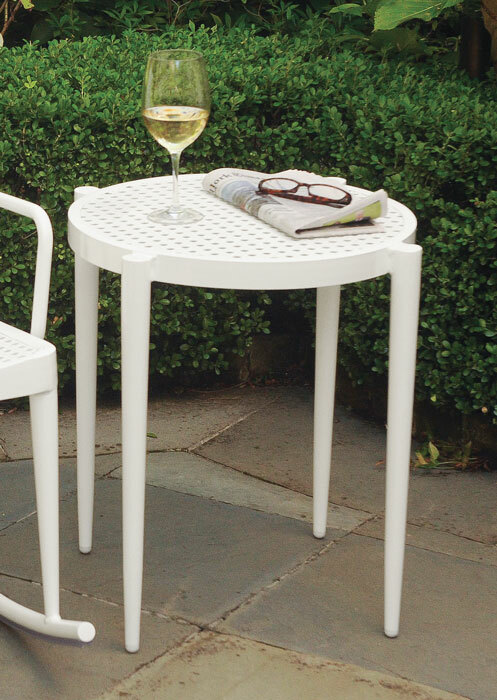 If you're looking for an easy-to-move, lightweight rocker with side table, look no more. Crafted of aluminum, the rocker has a cane-like seat and back, and the table has a cane-like top. Sample available in white. Regularly $235, one available for immediate shipment at 40% off. Additional furniture available at full price. 22"DIA. x 22.25"H; 10 lbs.